Most of us know this scenario: It’s early in the morning; you might be late for work, or running a few minutes behind. You step outside and – Oh no! There is at least 2-3 inches of snow on your vehicle, making your morning commute that much more unpleasant. Our immediate instinct is to brush off just enough so we can see, and figure the rest will take care of itself on your ride in to work. This is a bad idea. 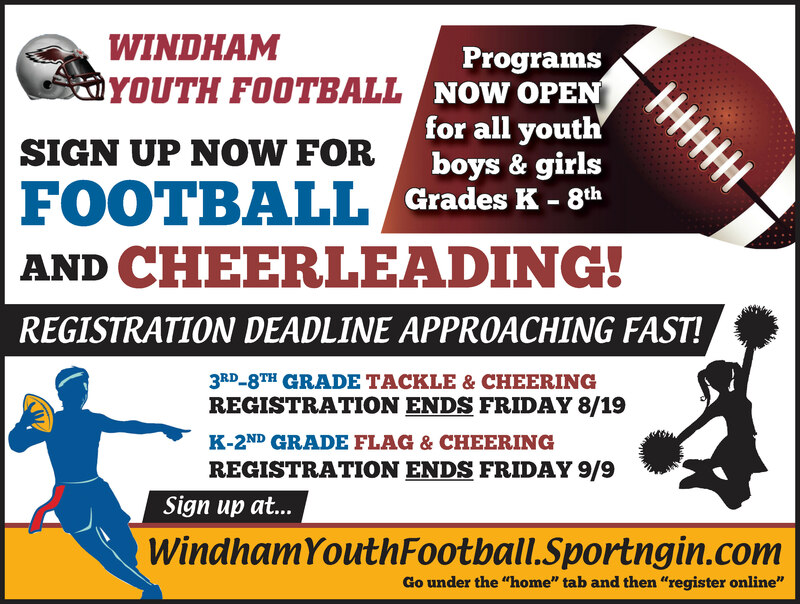 Captain Bill Andrew of the Windham Police Department spoke with The Windham Eagle. He offered some advice as to the importance of proper snow removal. “Obstructed windshield or side windows can lead to poor driving and hamper people’s ability to see in all directions,” said Andrew. Before you begin clearing off your vehicle, check your tailpipe. If it’s clogged with snow or ice, it can release Carbon Monoxide into your vehicle. This has the highest chance of occurring if your vehicle is backed against a snowbank, so be very careful and try to keep the tailpipe clear. Next, turn the vehicle’s defroster on before you begin clearing off it off. It will melt the snow piled up on the exterior of your vehicle. Make sure you leave plenty of time in the morning if it’s snowed (even a little) the night before. 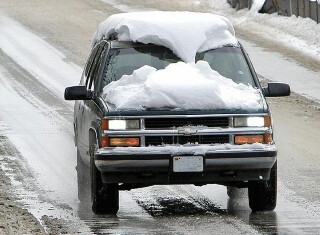 It is crucial to never pour hot water over your windshield to try to melt the snow. The fast temperature change can cause glass to crack or shatter. When it comes to cleaning off our vehicles, we all know to clear off the ‘Big Three.’ Those being the windshield, the back window and your windows. However, it is equally important to clear off the ‘Other Big Three’ These are the roof, the trunk and the hood. “In 2015, there were [at least] 20 accidents [from snow flying off a vehicle’s roof],” remarked Andrew. Don’t forget to clear off your headlights, front and back. 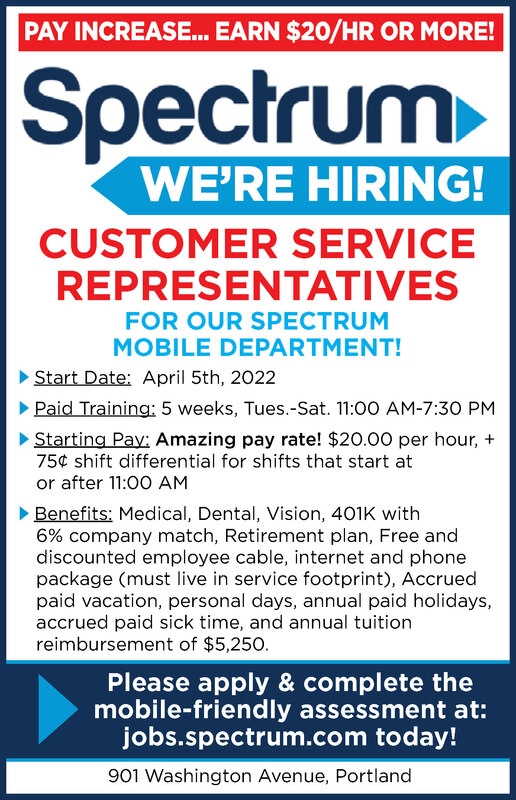 You want to be seen by other drivers and you want them to see you. “Day or night, when there’s snow, you want to have the brightest road in front of you; blocked headlights can impede driving for you and an oncoming car, advises Andrew. Also, other parts of the vehicle that might get overlooked, especially if you’re in a hurry, are the driver and passenger side mirrors. It’s a good idea to wipe off your windshield wipers too. The more visibility you create for yourself, particularly in bad weather, the better off we all are. And when it comes to travelling in bad weather, “go slow in the snow.” Going too fast, even if you’re running late, only increases the chances of something bad happening. “It is much safer to go slow; try to plan ahead and have what you need. Give yourself extra time…give yourself extra braking room. [It’s important to have] extra room coming up to intersections, stoplights and cars in front of you,” said Andrew. Traveling south to Arlington National Cemetery with the Wreaths Across America (WAA) convoy was an emotional roller coaster. Sunday December 10 brought us to Windham High School. The ceremony was heartwarming and highlighted the Summit Project stones of six local heroes that were presented by students as well as the Windham Chamber Singers and the elementary school choir singing both patriotic and Christmas songs. Following the touching ceremony, the convoy left on Monday, December 11 to begin the second day of our trip. This convoy has been labeled “The World’s Longest Veterans Parade” ranging from 35-45 vehicles at any given time. With 32 stops on our way, this would be a book length article if I were to tell you about all the people we have met or the fascinating stories that we have heard, so I will keep it to some of the highlights. Monday, we left the hotel and headed to Scarborough High School. My traveling companions for the week were Dolly and Jim Sullivan, Gold Star Parents. Their son, Captain Christopher J. Sullivan was killed while serving with the 1st Cavalry Division in Bagdad, Iraq. As we entered the grounds of the high school, we were greeted by hundreds of school children lining the sidewalks. 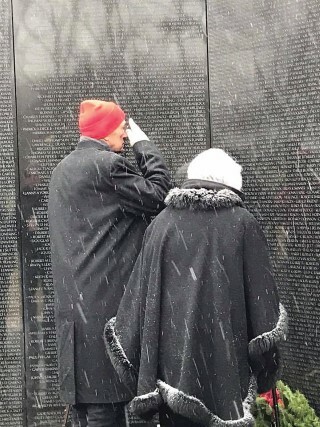 Their ceremony honored veterans from all wars. From there we headed to Kennebunk High School. This stop held a special significance for me because among the honorees was a dear friend, Corporal Leon Tanguay. He is a World War II Former POW. Tanguay is a quiet man who is one of the kindest men I have ever met and it is hard to imagine the horrors that he endured. When our Grand Marshall, Colonel Roger Donlon, the first Medal of Honor Recipient from the Vietnam War and Corporal Tanguay saluted each other it was a display of respect and honor. After Kennebunk, our next stop was the Kittery Trading Post. 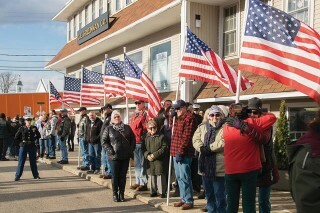 We were greeted by a flag line and cheering people. Inside there was music by Don Campbell and a ceremony with wreath presentations. They sent us on our way with bag lunches. After this final stop in Maine, I can say that Patriotism lives in the heart of our residents and I am proud of my home state. The next day, Tuesday December 12 began with a stop at Montachusett Tech School in Fitchburg Mass. This stop was one of the highlights of the trip. Better known as Monti Tech, this school has 1,427 students. During the ceremony, the stage was lined with more than three dozen Marine Junior ROTC members from their student body. This created a beautiful scene when one of the students began playing Amazing Grace on the violin. I have heard Amazing Grace played hundreds of times but never more soulfully than this. When twin brothers began singing, there wasn’t a dry eye in the house. On the stage where the Marine Cadets stood dutifully at attention, artificial snow began to fall. To watch the snow fall silently over the black and white of the POW/MIA flag while hearing Amazing Grace being sung so peacefully is a memory that will stay with me. Other ceremony highlights included: St. Mary’s Fife and Drum Corp performed by the second through eighth grade students at Branford High School in Connecticut, a POW/MIA Chair of Honor dedication at Manville New Jersey High School, reciting of the Flander’s Field poem by a fourth-grade student and the many renditions of “I’m an American, Yes I am” by Rick Charette. This song serves as WAA’s theme for this year. Friday, December 15 was cold with rain and snow for most of the day. 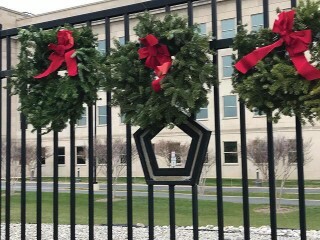 It was on this day we visited the Pentagon for a brief ceremony and then 184 wreaths were hung on the black wrought iron fence surrounding the 9-11 memorial. The number of wreaths is representative of those who died on 9-11-01, both in the Pentagon and on American Airlines Flight 77. We then visited the Korean Monument and the Vietnam Wall for wreath ceremonies. To witness Colonel Donlon stand at the apex of the wall and salute his comrades, whose names are etched in the black granite, was an image that many of us will carry forever. Our final day, Saturday December 16 began early. We left the hotel at 5 a.m. for breakfast at the Branchville Maryland Fire Department and then headed to Arlington National Cemetery in a police escorted convoy. The mood in my vehicle was one of anticipation and quiet introspect. The Sullivan’s would be visiting their son’s grave in section 60 to place a wreath. My husband, Tim, and I would also be visiting section 60. We met two Gold Star mothers from North Carolina on this trip. Cathy Powers, one of the mothers who had lost her son Bryce in 2013 while serving in the Air Force in Japan, asked my husband, Tim to lay the wreath on Bryce’s grave. As the white stones of Arlington came into view, I had tears in my eyes. Our mission was about to be complete. After seven days of traveling, we were entering the gates of our National Cemetery where thousands of our nation’s bravest are laid to rest. There are no words to describe the feelings of seeing Memorial Avenue lined on both sides 10- deep with people waiting to help lay the wreaths and with the trucks carrying the wreaths already staged around the cemetery. When the gates opened, and the thousands of wreath-layers entered, it was as if all the darkness was dispelled - if only for this moment in time. All were there to remember and honor whether it was a family member, a friend lost in battle, or a stranger. As fate would have it, while waiting in line for a wreath I met a young boy whose father, Navy Seal Kyle Milliken, was killed in May of this year. He was from Falmouth Maine. This truly brought the mission home for me. With 244,700 wreaths laid and approximately 75,000 volunteers, it was I who had the opportunity to meet the family of one of our local heroes. Tim and I walked the cemetery and watched as families cried, men and women saluted their comrades and people honored those whom they would never meet. After all the wreaths were laid and the ceremonies completed, we took a moment to reflect on the last week. The trip was a once in a lifetime experience, even if we do it again it will never be the same experience. Wreaths Across America (WAA) makes another appearance in Windham as they return to Maine and Columbia Falls to drop off the vehicles for another year. After the receiving great fanfare on Sunday, December 10 the Wreaths Across America convoy made a brief stop at the Windham Veteran Center (WVC) on Monday, Dec 18 to place wreaths in the Center’s Memorial Garden. The WAA team had their traditional breakfast at Chutes in North Windham and then proceeded with horns blaring through North Windham to the WVC. At the WVC, Lil Charron, the events coordinator for WAA passed out seven wreaths, each representing a military service to a veteran from that branch of service and one pow wreath. The wreaths were then placed in the snow-covered garden on the veteran’s stone that had the appropriate service logo affixed to the stone. After the brief ceremony, all returned to the warmth of the WVC for coffee. Charron took the opportunity to pass out a wreath to each veteran and to honor the Vietnam-era Veterans assembled with a WAA T-shirt and cap. Charron indicated that this was her last WAA trip as the event coordinator and that she would be moving back to the Cumberland area to be near family. Christmas Morning service at 10:15 a.m.
7 p.m. (youth ensemble) Christmas carols at 6:45 p.m.
10 p.m. (adult choir) Christmas carols at 9:45 p.m.